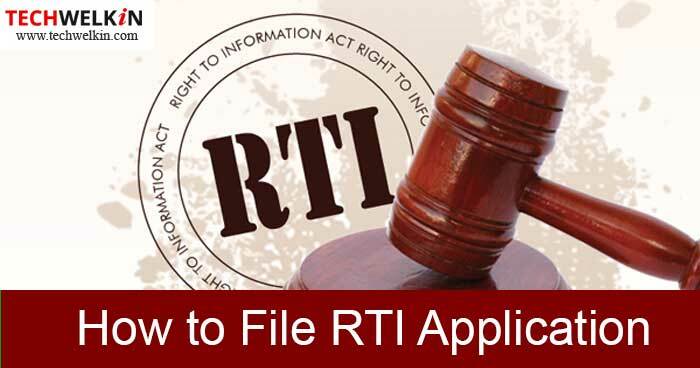 Learn how to file an RTI application to seek information from the government authorities. You can file an online application or use a paper application form for filing. We are also including frequently asked questions related to this subject. We have often seen people talking about Right to Information or “RTI” as we call it. RTI is the common man’s tool to seek certain categories of information from the public authorities. Right to Information was given to people through the RTI Act, 2005. Since then it has significantly contributed in introducing transparency and accountability in the working culture of public offices. To understand the know-how of the RTI, first of all, it is important to know what RTI actually means. Right to Information is basically a right provided to a citizen for seeking information from the government. Information can be sought in any form like demanding copies of the government documents; asking any questions about any work of the government; asking for samples of materials used or referred for some public work etc. The next question which comes to our mind is, why do we need to inspect government’s work? What’s the use? Well, in a democracy people have the power to choose its government. At the same time, it is the responsibility of the people to keep tab on the functioning of the elected government. But, as we know, government is a very powerful institution. Government could very well hide its wrong-doings as it was not liable to provide people with all the information. Arrival of RTI, however, changed it all. RTI Act empowers people to seek information from the government authorities. Who can file RTI application? Any Indian citizen can file RTI application to seek information. Overseas Citizens of India (OCI) and Persons of Indian Origin (PIO) can also seek information under certain sections. From whom the information can be sought using RTI application? RTI covers the whole of India, except Jammu and Kashmir, and all bodies which are owned, controlled or financed by the government. It includes each and every body which is constituted under the Constitution of India, under any other law or even by any notification of the central or state government. With respect to private bodies, all private bodies which are owned, controlled or substantially financed by the government are directly covered. Whereas others, where the government can access information from private body, are indirectly covered. Who all are exempted from RTI? Right to seek information from public authority or from government is not an absolute right given to the citizens of India. Under the RTI Act 2005 there are certain types of information which are exempted from the ambit of RTI. These exemptions are given in details under Section 8, Section 9 and the Second Schedule of Right to information Act, 2005. Applicants can not seek information mentioned under these sections and from the organizations which are included in the Second Schedule. However, any information pertaining to the allegations of corruption and human right violation are not excluded. How to file RTI application? Let’s now look at the process of filing such an application. This is the easiest and quickest way. You need a computer connected with Internet. Go to the RTI Online website. For submitting RTI click on Submit Request, and you will be see the Guidelines for use of RTI online portal. Read the instructions, scroll down to the end of the page and tick on I have read and understood the above guidelines and click the Submit button as shown in the following image. Here you have to fill the entire form. If you don’t know the exact public authority to which you have to file your application, you can search it in the “search public authority” option given on top of the form. This search will help you to select the correct public authority. If there is any supporting document then that can be uploaded. However, it’s not mandatory to attach any such document. Is the Applicant Below Poverty Line? Applicant with a BPL card can select yes in this option and the application fee will be waived off. The applicant will have to upload a scanned copy of his/her BPL card/certificate. After filing the form click on Make Payment button. In payment section you will have to pay Rs. 10, which can be paid through internet banking, debit card or credit card. After selecting the mode of payment proceed forward and click on the Pay button. After successful payment a registration number will be given to the applicant. This number can be used in future for checking the status of your RTI application. The procedure is completed. You will receive an e-mail and SMS on submission of your application. If you do not have access to a computer or Internet, you can also file your RTI application on a paper form and send it via postal mail. Step 1: Write your application. The application can be handwritten or typed in English, Hindi or in the official language of your area. Although there is no specific format for RTI application sent to the central government public authorities but some states have a proforma which needs to be followed while writing / typing an RTI application. Step 2: Address your application to the Central or State Public Information Officer (PIO) or Assistant PIO. In the application the subject line should be “Seeking information under RTI Act, 2005”. You should also write the name and full address of the office from which you are seeking information. Step 3: Write your questions or request for information in detail. For example, give details of the year, period etc. from which the information is required. You don’t need to provide reason for filing RTI. Step 4: Provide your full details like name, address, contact details, email address (if any) and sign the application along with date. Step 5: Pay Rs. 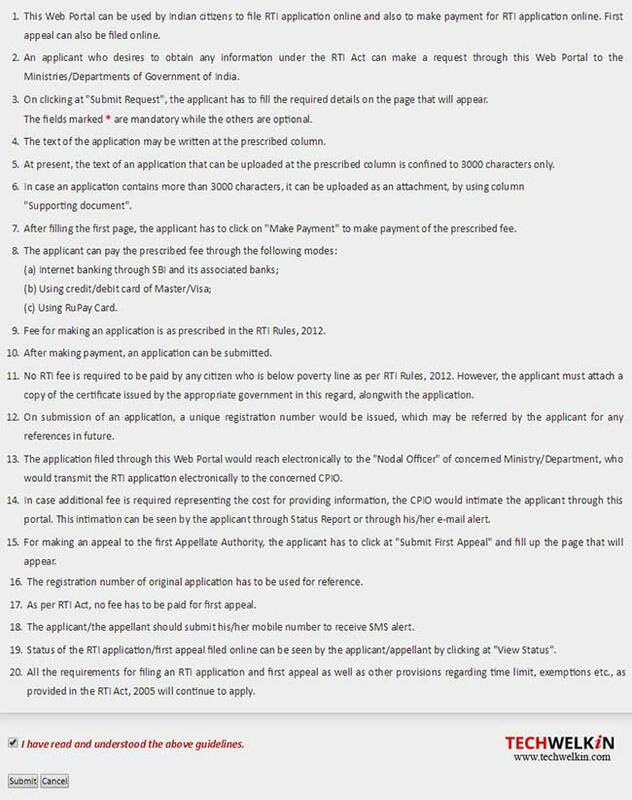 10 as fee to file application. It can be paid in any form i.e. cash, money order, bank draft or court fee stamp. Applicants below the poverty line need not make the payment but have to attach a copy of the BPL certificate along with the application. Step 6: Keep a photocopy of your application before sending it to the authority. Step 7: Send your application by post or submit it personally to the department concerned. Get an acknowledgement for future reference. What should you do if the PIO or APIO does not accept your application? You can make a formal complaint to the respective Information Commission under section 18. A penalty of Rs 25,000 can be imposed on the concerned officer who refused to take your application. How much time it takes to receive information sought under RTI Act? You must receive information within 30 days if the application is filed with the PIO. Information has to be made available within 35 days if application is filed with the Assistant PIO. Information has to be made available in 48 hours in case the information sought affects the life and liberty of an individual. What if you cannot locate the PIO? If you are having problem locating your PIO then you can address your application to PIO, C/o Head of Department and send it to the concerned public authority along with application fee. Head of Department will have to forward your application to the concerned PIO. If you have any more questions regarding filing an RTI application, please feel free to ask us in the comments section. We will try to assist you. You can also share tips for filing such applications. Thank you for using TechWelkin! This article was authored by Shubham Aparajita, a student at the Symbiosis Law School, Pune. I WANT TO FILL RTI AGAINST DIRECTORATE OF EDUCATION OF DELHI. WAHA DIRECTORATE OF EDUCATION KA OPTION SHOW HI NH HOTA. How to Online RTI apply in Grama panchayat in Karnataka State?? Can i get the information about the fund release for grampanchayat under various category through filing rti? And whom should my rti application addressed?